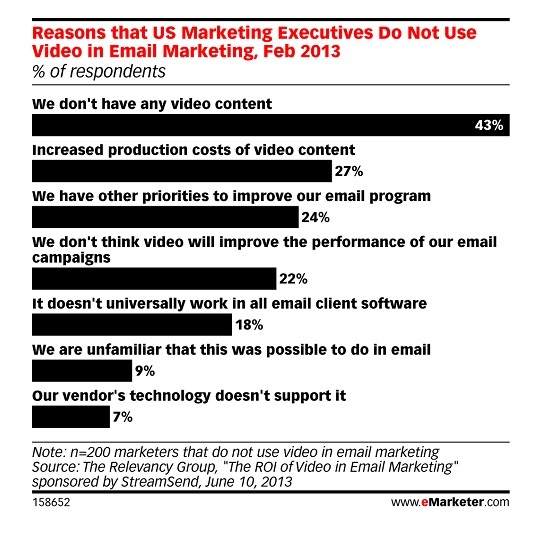 Should I Use Video for My Email Marketing Campaigns? Back on June 19 eMarketer released a two page report, “Video Is the Next Frontier for Email Marketers” where a February 2013 survey of marketing executives conducted by The Relevancy Group revealed that only one-quarter of them used video in email marketing campaigns. 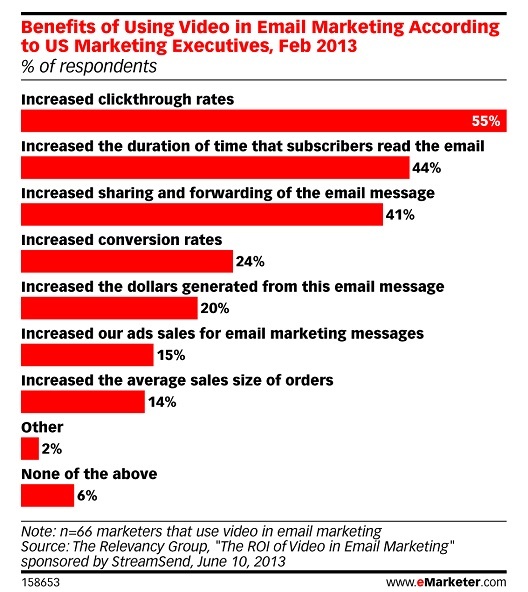 Forty-three percent of the marketing executives revealed that they didn’t use videos in email messaging because they lacked the content, followed by the added costs of producing and skepticism that video would actually be of any use to the email campaign. – Increase in the sharing/forwarding of emails.